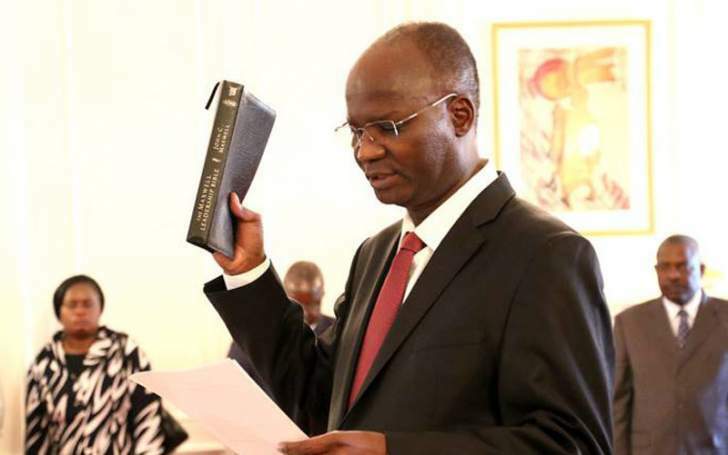 Self-exiled former Higher and Tertiary Education, Science and Technology Development Minister Professor Jonathan Moyo was yesterday shamed on social media after he posted foreign images of brutalised people in an attempt to misrepresent the situation in Zimbabwe in light of the disturbances instigated by the opposition MDC-Alliance and its civic society partners this week. Prof Moyo tried to hoodwink the world on the state of affairs in Zimbabwe by posting pictures of robbers arrested in South Africa for car hijacking last year, insinuating a violent crackdown by authorities in Harare. He said, posting the offending pictures: "The military has cut Zimbabwe off from the rest of the world; social media down, websites down, emails down & telemedicine down, WHAT KIND OF LAW ENFORCEMENT IS THIS BRUTALITY?" However, alert Twitter users were quick to take Prof Moyo head on, telling him that his attempts to tarnish Zimbabwe's image were futile. Mukaradhi weku Hwange using the twitter handle @JukeBox responded: "Nhai aMoyo hamunyare here? (Are you not ashamed?) Lol you tag SA officials on pictures that are from old stories that happened in South Africa. Muri munhu mukuru mhani musadaro!" Another twitter user mmatigari @matigary said: "Devious forces are working hard to tarnish Zimbabwe. They ain't shy about spreading falsehoods. If u google, u can see pictures of people shot used by Jonathan Moyo are South African pictures. Are u not ashamed?" One King George using the handle @damsongeorge weighed in: "...one of those pics is (sic) of robbers caught in SA. It has circulated on social media b4. Check even those bricks where the guys are lying down on. There is nowhere in Zim you will find such a brick but it's common in SA." @NemasasiA described Prof Moyo as a terrorist who wanted to fuel violence in Zimbabwe. "We have genuine problems facing every Zimbabwean?but Jonzo is exaggerating every small thing. His behaviour is causing more deaths." Lincoln N using the twitter handle @LNgindi said: "Wena Moyo yindaba so? (What is wrong with you?) Pics from SA last year CIT robbers. Using pictures from SA, are you trying to sabotage South Africa like what you are doing to Zimbabwe?" Dexter Zvirevo said: "Why lying our political Prof? U are becoming a danger to stability." The acerbic self-exiled former G40 cabalist, believed to be holed up in somewhere in East Africa, has a penchant for maligning his home government.